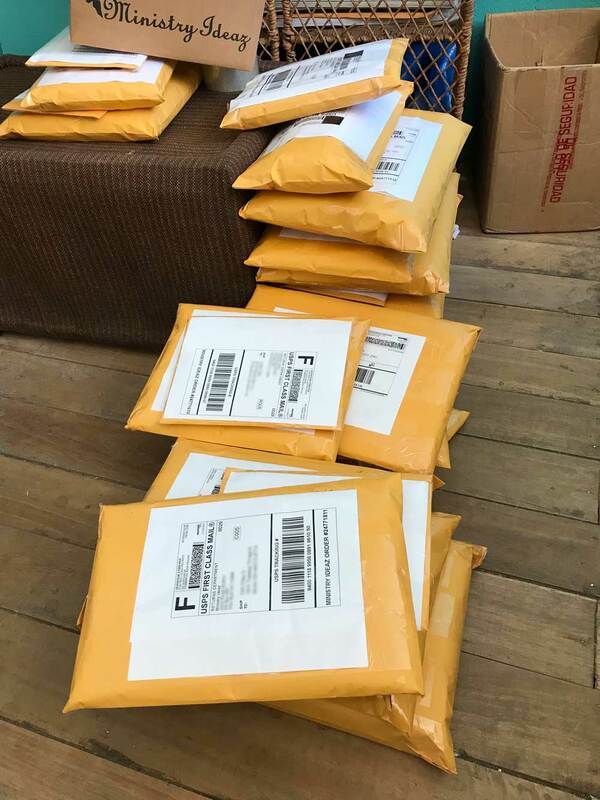 We put a lot of time and effort into making sure our shipping times are fast, and our shipping costs are reasonable. This is quite a feat for a small company shipping out of Ecuador to all over the world! As Ecuador is a developing country, this can prove a little more difficult than shipping locally within the United States. Affordable, reliable options here in Ecuador are limited. We have found that using a two-part system to get your package to you works the best. Packages are weighed and measured, and we can print out USPS postage online right here in Quito, Ecuador. Once the batch is ready, we ship it in a large box to a distribution center in Miami. But the time your order arrives in Miami, about one week has passed. Once in Miami, our associates take the packages to a USPS outlet for final delivery to your doorstep. This is why you may have seen “2-day shipping” and “USPS” on your package. You may not even have realized that it was actually processed in Ecuador, where your order was handcrafted before starting it’s long journey to you. When we figure out the shipping costs that you need to pay we need to take into account not only the shipping cost from USPS but also the cost to get your order to the USA with a courier such as DHL or UPS. We have used Ecuador Post in the past and found the shipping times to be 3 times as long, the costs more than double, and the tracking method not as reliable. Obviously, we ruled this out as an option. Please enjoy this little video to see how it all comes together! Thank You for all your hard work to get us all our stuff. Considering we are on the west coast USA, we still get it in reasonable time. CJ and the Jodoin children. I have never been dissapointed with any product from you. Thank you for all your excellent quality products!! First time user have not received items as of yet. Eagerly anticipating delivery. Impressive videos! To track your order, please look up your order's tracking number. You can find that on the shipping confirmation email, or by logging into your Ministry Ideaz account and going to "order status" (located on the bottom of the page). Super votre site internet, j'aime beaucoup les articles que vous proposez. J'attends avec impatience la livraison de ma première commande. Pour la France les frais de port sont assez importants mais je ne doute pas que les couvertures de Bible feront un superbe cadeau. Merci pour votre commentaire. J'espère que vous aimez votre nouvelle couverture biblique. It's been 18 days since I placed my order and I just now got a shipping confirmation. Why does it take so long to get an order of bookmarks in the mail? Then we can be of better assistance. Love your beautiful artwork on your items. Have bought lots over the years and tell all the friends to order too. Makes study easier. Many happy thanks from Happy Sister from California. Ive ordered 2 book bags and now ordered a third one. They hold up so well that i give them to pioneers in my congregation and they love them. They still look new. Thankyou so much that you make such a nice product in these last days is a real blessing. Thank you so much, Denise! We hope you enjoy your order.